This chapter presents a new approach to multi- agent control of complex systems with unknown parameters and dynamic uncertainties. A key strategy is to use of neural inverse optimal control. This approach consists in synthesizing a suitable controller for each subsystem, which is approximated by an identifier based on a recurrent high order neural network (RHONN), trained with an extended Kalman filter (EKF) algorithm. On the basis of this neural model and the knowledge of a control Lyapunov function, then an inverse optimal controller is synthesized to avoid solving the Hamilton Jacobi Bellman (HJB) equation. We have adopted an omnidirectional mobile robot, KUKA youBot, as robotic platform for our experiments. Computer simulations are presented which confirm the effectiveness of the proposed tracking control law. The study of multi-agent systems has become an important aspect of systems architecture in order to deal successfully with the complexity and large-scale systems. Each agent system has special functions to solve the problems. In addition, in the multi-agent system the agents can work together to solve problems, which are beyond the capabilities or knowledge of an individual agent. One of the main characteristics of multi-agent systems is that each agent takes decisions solely on the basis of its local perception of the environment. As a result, a challenging task is to synthesize a decentralized control approach for certain global goals in presence of limited information exchanges. On many occasions, agents need to reach certain quantities of interest. For example, flocks of birds tend to synchronize during migration in order to avoid predators and to reach their destination (Zeng-Guang et al., 2009). Multi-agent system is basically defined as any system composed of more than two subsystems or agents. For these systems a local control station directly considers the state of its subsystem (agent), without considering the state of the other subsystems (agents). As an advantage of this technique, even though the whole system is large scale and complex, the subsystem (agent) controllers are simple (Kageyama & Ohnishi, 2002; Mahajan, 2011). Many of today technological and social problems involve very complex and large-scale systems. For such systems, it is usually recommended to avoid centralized controllers due to the cost of implementation, complexity of on-line computations, complexity of controller design, and reliability. In such a situation, a multi-agent or partially decentralized feedback structure may be imposed (Iftar, 1991). For real-world applications, uncertainties are due to the imprecise measurements, external disturbances, and interactions with the unknown environment. Hence, the questions arise naturally: How to design the tracking algorithm for multi-agent systems with uncertain dynamics (Gourdeau, 1997)? 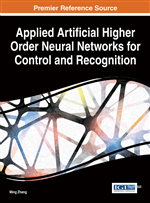 Neural networks have grown to be a well-established methodology, which allows for solving very difficult problems in engineering, as exemplified by their applications to identification and control of general nonlinear and complex systems. In particular, the use of recurrent neural networks for modeling and learning has rapidly increased in recent years (Sanchez & Ricalde, 2003) and references there in). There exist different training algorithms for neural networks, which normally encounter some technical problems such as local minima, slow learning, and high sensitivity to initial conditions, among others. As a viable alternative, new training algorithms, e.g., those based on Kalman filtering, have been proposed (Grover and Hwang, 1992; Haykin, 2001; Singhal & Wu, 1989). Due to the fact that training a neural network typically results in a nonlinear problem, the Extended Kalman Filter (EKF) is a common tool to use, instead of a linear Kalman filter (Haykin, 2001). This fact motivates the need to derive a model based on recurrent high order neural networks (RHONN) in order to identify the dynamics of the plant to be controlled. The RHONN model advantages are: easy implementation, relative simple structure, robustness, capacity to on-line adjust its parameters (Rovithakis & Chistodoulou, 2000; Sanchez et al., 2008), and incorporation of a priory information about the system structure (Ornelas-Tellez et al., 2012).